Acura is a big name when it comes to luxury. 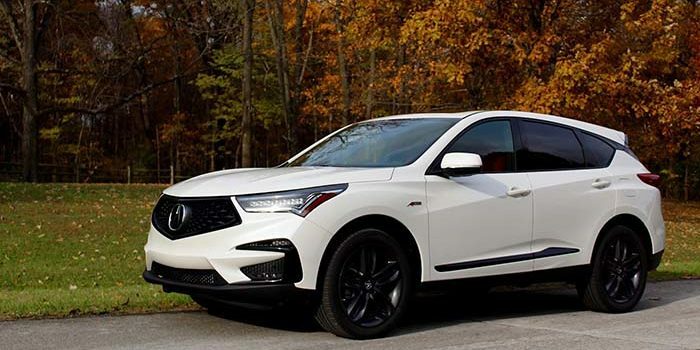 For those looking to find the best of luxury SUVs, the Acura RDX is high on the list of potential vehicles. If you’ve been looking for a good vehicle for your family that combines luxury and cargo space, you might have been considering and RDX. Today we’ll give you our take: should you buy an Acura RDX? Acura RDX: Should You Buy? There’s a lot to love with the Acura RDX. The 2019 model is a winner across the board, bringing ample luxury and style to go with its smooth ride and spacious interior. Let’s get into what makes it such a great pick. Whether you’re trying to get your family to the grocery store and back or taking a trip to the beach, comfort is key. Acura knows that, and that’s why the RDX is such a smooth, comfortable ride. The engine is quiet and responsive, giving the driver tons of control on the road. Ample tech features come standard on the RDX, and the interior will impress even the most discerning tastes. The cab is spacious, luxurious and comfortable. Finishes are top-notch, the seats are soft and cozy and there’s tons of leg room. The design is altogether impressive, on a holistic level. This all goes hand-in-hand with the ample cargo space. When you need to haul a ton of stuff with you, you’ve got room to stash it all. This doesn’t come at the expense of passenger comfort, either, which is a huge plus. The drivetrain, which is smooth and quiet, offers 272 horsepower, making it modestly impressive. The engine also gets a respectable 22 miles per gallon in the city, and 27 on the highway. The acceleration won’t blow you’re mind, but it’s solid enough to be impressive. In all, this is exactly the kind of engine you’d expect from a luxury SUV. With some minor exceptions, there’s little to criticize in this high-end luxury SUV. If you’re looking for a roomy, comfortable ride with a great engine for your family, the Acura RDX is a great pick. Our only minor nitpick is the infotainment system, which carries a bit of a learning curve to figure out. The only other minor sticking point could be the price. For those on a budget, the intro price of $37,400 might be a bit steep. However, for those able to swing it, this is a stellar vehicle.